[SINGAPORE] The Central Provident Fund (CPF) should discourage Singaporeans from frivolously taking lump-sum withdrawals from their retirement savings, even though the government's granting the option gives valuable flexibility, observers have said. They were reacting to Prime Minister Lee Hsien Loong's announcement in his National Day Rally speech on Sunday that retired CPF members will be allowed to take out part of their CPF savings in a lump sum, subject to limits; the amount that can be withdrawn will be capped, and details are being worked out. Academics and financial advisers who spoke to The Business Times also welcomed the other major announcement - the expansion of the lease buyback scheme for Housing Development Board (HDB) flats to four-room flats, instead of having it capped at three-room flats as is the case now. With the HDB buying back all but 30 years of the remaining lease of a flat, retired flat owners will be able to monetise some of their real estate in their later years, they said. On the change to the CPF lump sum rule, Eddy Cheong, the head of financial planning at advisory firm Providend, said of the opening up of options: "I think there are some people who work very hard, and they just want to enjoy a little bit; they want to have some enjoyment at 65, so I think, in general, it's a good idea. "You want to feel like you have tasted the fruit of your labour." Observers also tempered their positive reaction with a note of caution that retirement savings could be insufficient. Brian Tan, associate director of private wealth management at Financial Alliance, said: "People should be incentivised not to take it out willy nilly." Newly-selected Nominated Member of Parliament and Associate Professor Randolph Tan of SIM University suggested that the government withhold certain amounts of top-ups or grants, depending on a member's CPF balance. "People don't seem to realise the future value of money of their CPF savings... And the government should let them reconsider if they realise they made a bad choice in two years' time." 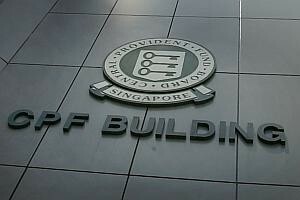 Nanyang Technologicial University Assistant Professor said the already-announced CPF Life annuity payouts could offset some of the risks of allowing lump-sum withdrawals. But he said investors hoping to outperform CPF's returns by investing their lump-sum withdrawal elsewhere might want to think twice. "Generally speaking, we would expect that people will not be able to purchase an annuity on the same terms as they can get from CPF Life," he said. Professor Benedict Koh of the Singapore Management University called on CPF to step up its education efforts: "CPF ought to give advice... What does it mean to take out that 20 per cent? I would expect CPF to be a bit more proactive in coming out to meet people; instead of just communicating by letters, they probably need more face-to-face meetings." Although the expanded lease buyback scheme also drew praise, those interviewed said they hoped that HDB would also address concerns of homeowners about outliving the remainder of their lease. Prof Koh said: "They could have gone a step further... Usually with the lease buyback, there's some concern by owners about tail-end risk. What happens if you live longer than 30 years? To encourage a strong take-up rate, they should assure homeowners that should that happen, HDB will come in and take that risk." He noted that PM Lee had not mentioned CPF Life, though the scheme had drawn questions about whether its annuity payments can be indexed to inflation. Also on Prof Koh's unfulfilled wish list for the rally speech was the subject of private pension schemes, which he said could offer even more options to CPF members: "Now you have only two extreme options - those who don't know how to invest leave all their money with CPF, while those who do know invest on their own - but those who don't know how to invest and want to take a bit more risk don't really have an option."